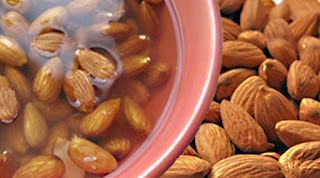 Almond is very beneficial in dry fruits. It contains 3.5gm fiber, 6gm protein, 14gm fat, 37% vitamin E and 20% magnesium. It also has copper, vitamin B2 and phosphorus. It has 1061 calorie and 2.5 carbohydrates. Those who have problems with stomach. They must eat almonds. In the morning, having 2 almonds avoids stomach diseases. Almond has phosphorus that strengthens the bones and teeth. The regular consumption of almond controls diabetes and one cannot require insulin. According to one study, a person who eats almonds in 5 days during a week. He has 50% less chances of getting heart attack. Almond reduces cholesterol. We can control cholesterol level by having almond. The soaked almond sharpen the mind and memory. People who use more brain in work they should eat almond. Almond makes skin good and avoids tanning. Almond is beneficial to enhance the beauty. Almond controls the weight. It avoids deposition of fat in the body. Those who eat almond regular they have less weight. One should include almond in die.